Former Swan Valley resident Connie Wyatt Anderson, has been named geography teacher of the month by Canadian Geographic. Wyatt Anderson grew up in Mafeking and is the daughter of Terri and Bradley Wyatt. 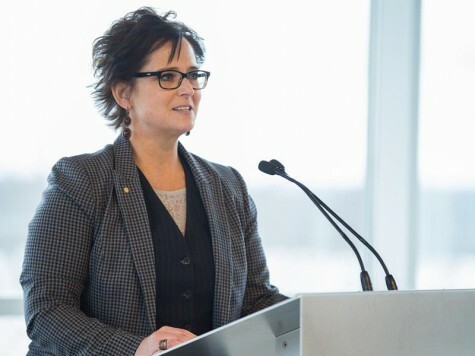 She has received many other distinctions throughout her career including: the Queen Elizabeth II Diamond Jubilee Medal presented by the Royal Canadian Geographical Society in 2012, an Aboriginal Circle of Educators award for her work with the Treaty Relations Commission of Manitoba in 2014 and, also in 2014, the Governor General’s History Award for Excellence in Teaching. Wyatt Anderson spent 22 years teaching high school history and geography at Oscar Lathlin Collegiate, on the territory of the Opaskwayak Cree Nation. While no longer in the classroom, she continues her role as an educator in a variety of other activities.